If you're able to access this page, something has gone wrong. We've now moved to a new, improved platform so will no longer be using this .blogspot address. With just under a week to go before the Rugby World Cup kicks off, the hype is building as today we take a look at the first of the official Rugby World Cup Daily updates from the IRB, a feature they will continue throughout the tournament. We've been working frantically to get the new platform live early this week, and in all likelihood this will be the last post before relaunching. What does that mean to you? Not a helluva lot, except that the next time you use the site, you'll hopefully be having a far greater experience in terms of functionality and ease of use. The World Cup kicks off later this week, in case you hadn't noticed, and we'll be doing everything in our power to bring you the best hype, coverage, news, and interesting features throughout the tournament. You'll be able to hop on here any time of day to catch up on what's been happening, and of course discuss the matches with like-minded fans around the world. This video is one of the official updates from the tournament, giving you and idea of what the atmosphere is like in New Zealand currently, for all of those who aren't able to attend, or are flying out shortly. Japan's Kiwi coach John Kirwan, Mike Miller of the IRB, and All Black Dan Carter all share their thoughts ahead of Friday's kick off. A while back we ran a contest with our friends Distinctive Developments for you to win a chance to get your name in the game, the game being their latest mobile offering, Rugby Nations 2011. Today we'll take a closer look at the game itself. There's been a lot of focus and buzz surrounding the latest console and PC rugby games, with much speculation about which is best, and both being eagerly anticipated. There is another option though, especially if you're a smartphone user who fancies playing on the go. While Rugby Nations 2011 doesn't have official player name licenses, we came up with a way to make things more interactive for RD users - offer you a chance to get your name in the game. Many entries were received, and the winners' names are now featured in the game. 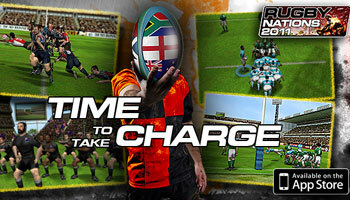 Rugby Nations 2011 has a brand new gameplay system, game modes, and 20 rugby nations taking part. You can demonstrate your strategic skills with team management and take your team all the way to being World Champions. The state-of-the-art visuals comprise fully motion-captured animations, new player models and cut scenes, and include an authentic Haka too. It has a new gameplay system with more fully playable elements. The restructured defensive setup includes everything from standing tackles and mauls to competitive rucks. With line-outs, long passes, grubbers, penalties and much more, the game is now entirely in your hands. The new team management feature allows you to take charge of your team with player names and statistics guiding you in your decision-making process. 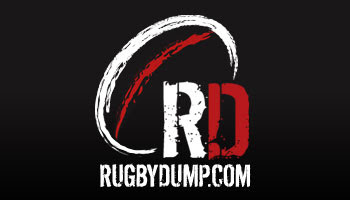 Rugby Nations 2011 is proud to feature Rugby Nations and Rugbydump fans as players within the game across the 20 countries. Fully revamped game modes are joined by a brand new Challenges mode, where you bring your rugby expertise to the test with different scenario-based challenges. World Cup tournament has seen a complete overhaul and now features group and knock-out stages. All-new motion-captured animations, redesigned player models and a fresh new look deliver an experience on a small screen ready to rival console games. Cut scenes from Haka to victory celebrations are all paying homage to the passion of this great sport and its players. You can buy the game on the App store now, or check out the free game, Rugby Kicks, which focuses on kicking, and is available now in both iPhone and Android formats. Canterbury claimed their fourth consecutive New Zealand provincial championship title as they won the ITM Cup Final, beating Waikato 12-3 in a tense affair on Saturday. Here's one of the games's more controversial moments. It was the first ever tryless final in the NPC, as Waikato Stadium witnessed a hard fought battle that boiled over in the 60th minute as fullback Sean Maitland and lock Romana Graham came to blows off the ball. Maitland had thrown a shocker of a pass before Graham, himself no stranger to a bit of the rough stuff, stuck his shoulder into the Canterbury flyer. Maitland retaliated, and a scuffle broke out that seemed to be just a bit of handbags before Graham stepped things up a level. It was missed by the onfield officials and to this point it seems as though there has been no citing. We'll keep an eye on how that develops but as it's the end of the season, it's possibly a tricky one. You'd expect a blatant headbutt to land him a hefty few months out of the game though. As for the rest of the match, there weren't too many other highlights worth showing, but it was one of those old fashioned type of arm-wrestles, which Canterbury won thanks to some good kicking from young Tom Taylor, who slotted all his kicks at goal. "This is for the people of Christchurch," said captain George Whitelock afterwards. 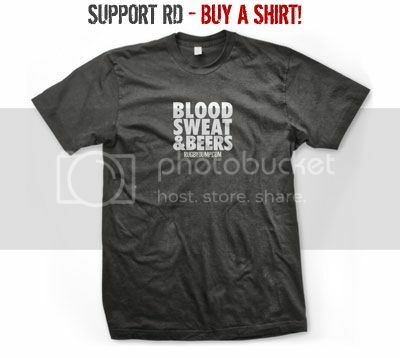 "It's the way we played in the second half, we really closed the game out from Waikato and for such a young group to do that is really pleasing, so the future of Canterbury rugby's really strong," he added. While the French Top 14 season kicked off last weekend in the shadow of the upcoming World Cup, Toulon got things off to a good start. They beat Biarritz 30-5, scoring some nice tries. Here's two of the better efforts. While the Top 14 started last weekend, this weekend it's the turn of the Aviva Premiership and Magners League to start, with the latter now being called the RaboDirect PRO12. They'll all continue during the World Cup, so we'll keen an eye on things and make sure the updates keep ticking over, especially when their is such talent on show, and a whole bunch of new imports from all over the globe. David Smith is one such import that is sure to make an impact. 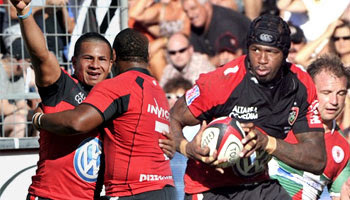 The former Hurricanes and Western Force flyer scored his first try for his new club Toulon, with yet another one of these 'chase the penalty in case of a rebound' tries. We've seen a few of late, and this one yet again showed how valuable it is to keep that high work-rate up. The second try featured here was one that looked pretty awesome, simply because of the big hit then great sprint for the tryline. Hefty flanker Olivier Missoup, who admittedly doesn't look extremely agile, showed great wheels after flattening Biarritz's hapless number nine. Most of the teams attending the World Cup have now arrived in New Zealand, so in this episode of O2 Inside Line Austin Healey and Abi Griffiths are joined by Mike Catt to discuss the tournament, and England's prospects. 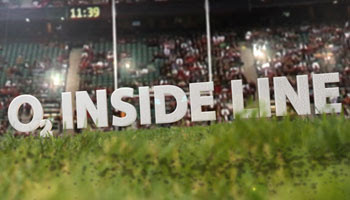 This is the final episode of O2 Inside Line in this exact format, as soon we'll be featuring a segment that is sure to contain plenty of banter and mischief, as James Haskell will be given a camera at the World Cup to capture the highs and lows from within the England camp. As you can see in this clip, Haskell Cam should be interesting, as one of the loudest characters in the game will no doubt be up to his usual tricks, and we'll get some insight into some of the players' thoughts before and after big matches in the tournament. There's loads of laughs in this episode, so check it out and listen carefully for Austin's South African accent as he and Catt go head to head answering questions, and with a bit of archery. Aside from the usual joking about, there's also some decent analysis. Enjoy. On Friday last week in the Plays of the Week segment you may have noticed a funny ending to the clip, with a quite hilarious bit of theatre from wing Ben Smith. Here's the full incident. Big Robbie Fruean has been featured on here a few times already, and the more we see him play, the more we realise what a beast he is. He's also incredibly unlucky to be one of those talented individuals who has suffered from the massive amounts of top quality backs in New Zealand. A few months back it looked as though Fruean and Sonny Bill Williams were destined to become the All Blacks' new center pairing, featuring strongly at the World Cup. It hasn't gone that way, and with Conrad Smith and Ma'a Nonu in the form of their lives, even the dangerous Williams is playing a supporting role off the bench. Fruean is yet to be selected at all. That said, he's a young guy and still has a huge amount of potential, which he'll no doubt reach in coming years as he gets even stronger, more powerful, and more aware on both defence and with ball in hand. As it is, he's a bit of a freak physically. Bay of Plenty's Ben Smith was obviously all too aware of that when he made the poorly judged decision to throw the ball at, then stand up to, Fruean in their recent ITM Cup match. The massive Canterbury center had him pushed over on his back before he could say Whakatane, to which Smith replied as any little winger should do against a bigger man. He grabbed the nearest weapon that would make it a fair fight, and used it as a spear.